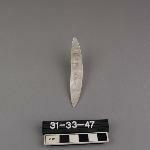 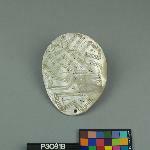 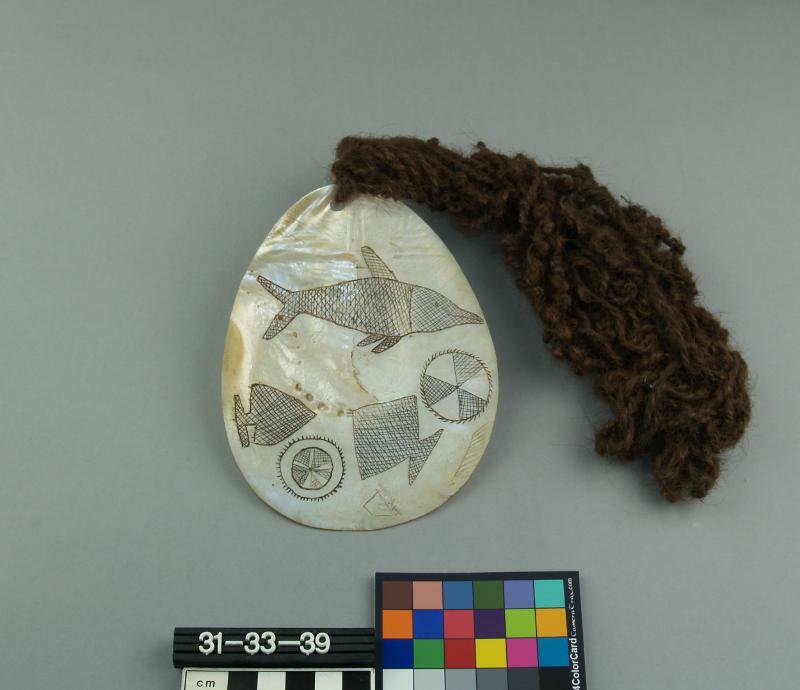 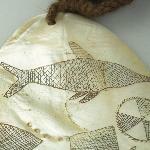 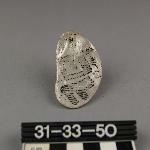 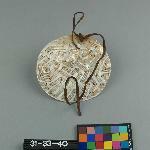 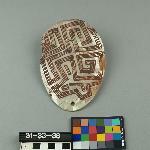 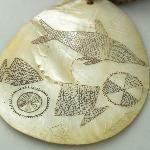 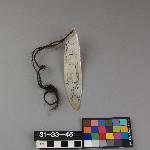 Round piece of pearl shell, with engraved decoration of fish, two rays (? 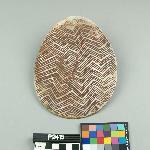 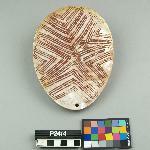 ), segmented circles, filled with black pigment. 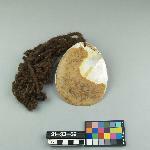 Human hair belt. 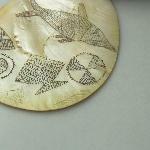 Recent type of decorative motif.